I have a baby that crawls around and puts everything in his mouth. My parents are re-modeling their house. How do I prevent him from getting lead exposure and poisoning? Lead poisoning is caused by toxic levels of lead that build up in the body over a prolonged period of time. The time period can be as short as several months, or lead exposure build-up can occur over several years. Lead may accumulate in the tissues of the body and cause severe damage. Lead poisoning can cause anemia, brain injury, and even death. Young children and babies are more significantly affected by lead toxicity because their brains are still growing. Fortunately, in most cases early detection can prevent severe symptoms and disability. When lead is detected in a child's blood, a proactive plan to remove the lead in the environment is instituted. Some children may need medication or even hospitalization to treat lead toxicity. Here are some important tips to try and prevent lead exposure. 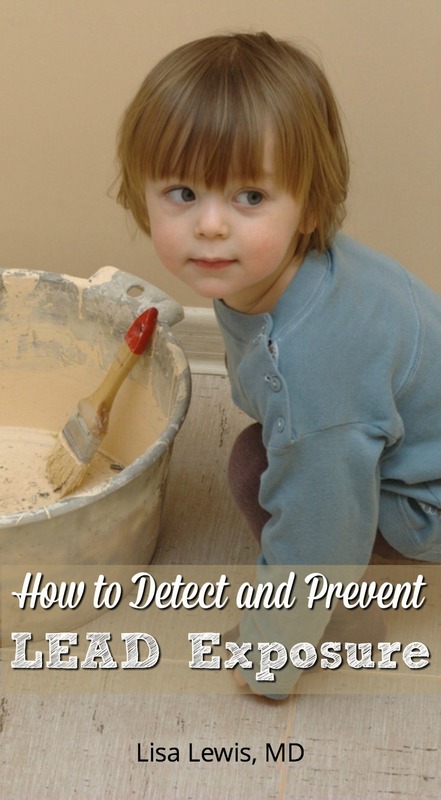 The cause of lead poisoning is most commonly lead-based paint, paint chips, and dust. In the United States, the only place to find lead in the paint is in a building built before 1978, since current paint does not contain lead. In England, all lead-based paint was banned in 1992. If you live in a house in the United States built before 1978 or England prior to 1992, you may have lead-based paint under your new layers of paint. It is safe to say that children who live in homes built after these dates will not have exposure to lead in paint. Some countries do still use lead-based paint, so if you live in a country other than the United States or England, check to see if lead-based paint is used (and if not, check to see when it was banned). Pregnant women and children are most vulnerable. Pregnant women should not have any lead exposure. Lead toxicity may be harmful to the unborn baby. A pregnant woman should not live in a home built before 1978 that is being renovated. Children should be kept away from all dust and paint chips. If possible, it is best to stay somewhere else until cleanup is complete. 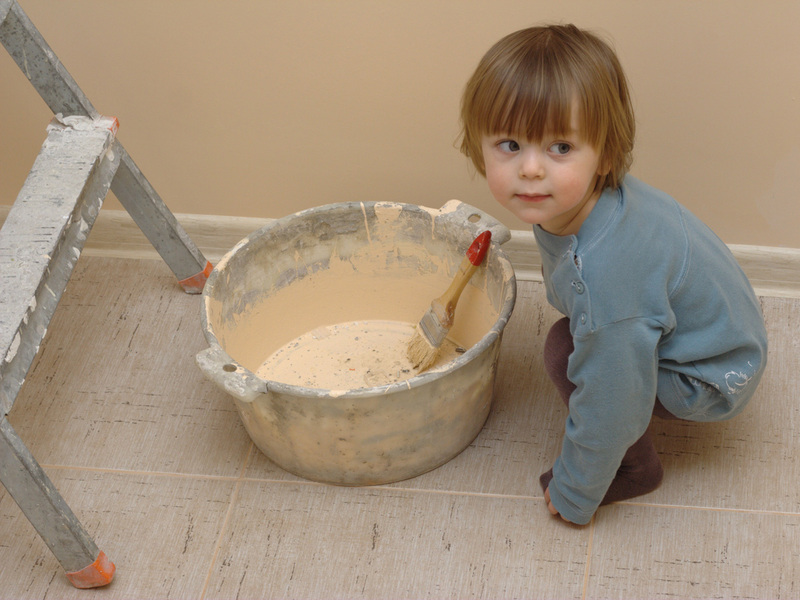 Lock doors to keep children away from paint dust and chips. There is no universal agreement on how much lead is toxic in the system. Preventing contact and inhalation of lead is the best way to prevent toxicity. If you would like to renovate your home, wait until later. If you feel you have no choice but to live in a home being renovated, remove all dust, especially from objects you use. Check to ensure there is no lead in the environment. Most local health departments can provide you with resource for lead testing in your home. Wash your child’s toys regularly. Hands are best washed in warm soapy water. Floors should be wet-mopped daily. This is a lot of work, but the payoff is preventing permanent health problems caused by lead exposure or other toxins in the environment. Babies (or toddlers) whose hands still go in their mouths should not play in soil. Soil may have contaminants from lead, animal feces, and material discarded by humans. Sandboxes are OK, but cover the box when not in use to prevent contamination. If children are playing in soil, they should be bathed afterward. Check your water, older pipes may have lead contamination. U.S. Citizens should get a government mandated Consumer Confidence Report for your area. Some EPA water reports are found online at https://ofmpub.epa.gov/apex/safewater/f?p=136:102:::::: Check with your city (municipal) water supply company. If your water comes from a private well, reference www.epa.gov/privatewells. What are you looking for? Lead levels below the EPA's action level of 15 parts per billion. If your water has lead levels higher than this and you live in the United States, you should report the levels to the EPA. Further steps for high lead levels can be found at https://www.epa.gov/ground-water-and-drinking-water/basic-information-about-lead-drinking-water. If you live outside of the United States, check with your local municipal government to find out about lead testing in your water. There are also kits that can be ordered online for personal testing, but check quality standards before using them. Know which toys and jewelry could be harmful. Although toys are closely regulated by the United States Consumer Product Safety Commission (CPSC), sometimes toys that contain lead have slipped through the system. Toy companies are required to check for lead, but this has not always been the case. A large percentage of toys that have been imported with lead were made with China. Although toys are now more closely regulated, consider this fact when buying toys. Be especially diligent with toys your baby likes to put in her mouth and older hand-me-downs. Check with the CPSC to ensure that your baby’s favorite toys have not been recalled for lead poisoning at http://www.cpsc.gov/en/Recalls/. Monitor containers, cookware, pottery and tableware. These items should clearly state “lead free” on the package. If you don’t see “lead free” labeling, I would not recommend buying them. You don’t have to immediately replace everything you own if there’s no history of lead exposure in your environment. But when buying these items in the future, ensure that they are lead free. Be aware of the risk in traditional home remedies and cosmetics. More unusual sources of lead poisoning include some home remedies made in various countries around the world. Avoid these products. A list of these exposure sources from the Centers for Disease Control (CDC) is available at http://www.atsdr.cdc.gov/csem/csem.asp?csem=7&po=5.